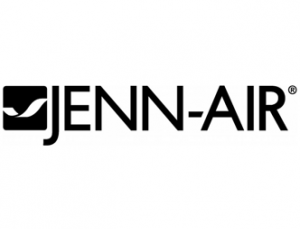 Jenn-Air is known for the sophistication of their design, exceptional performance, and innovative technology. They have been a leader in the appliance industry ever since they introduced the legendary downdraft cooktop in 1961. Currently, their built in refrigerators have been ranked #1 for the past four years. All of their appliances offer unprecedented performance no matter if you are cooking or entertaining. Jenn-Air’s sleek, modern appliances will make a beautiful, high performance addition to any home. High-end appliances such as the products from Jenn-Air tend to experience functionality issues. Oftentimes warranties will expire before repairs need to be made. These issues include: moisture and frost problems with their fridges, microwave strength being weak, oven sensor malfunctioning, dishwasher track unable to stay on track, and the timer knob breaking off of the dishwasher, just to name a few. Fast Appliance Repair will maintenance and repair Jenn-Air washers, cooktops, stoves, microwaves, fridges, dryers, ovens, and dishwashers in both residential and commercial settings.